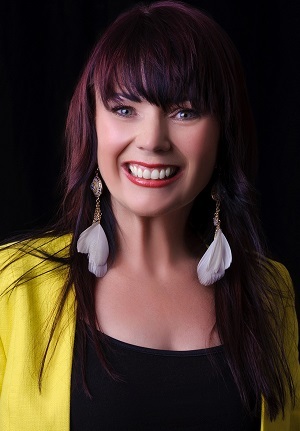 Alisse Bradley is a unique Business Coach & Designer who combines ‘energy based modalities’ and ‘Universal Principles’ with savvy western business techniques for fast and effective outcomes. She has devoted years of her time, energy and love to studying disciplines ranging from natural, human, physical and environmental science through to neuro-linguistic, metaphysic and quantum science. Beginning with a Graduate Diploma in Natural Science and an Associate Diploma in Human Science, Alisse’s impressive and extensive list of qualifications includes several in human development including NLP, Time Line Therapy, Hypnosis, Diagnostic Astrology, Psycho-synthesis, Colour Therapy and Traditional + Western Feng Shui. Overcoming a poverty-conscious young adulthood, Alisse knows what it means to live without wealth. Enduring a long journey to build self-esteem and liberate herself from believing that she was controlled by circumstances, Alisse overcame major challenges around money to live with the resounding certainty that she is her own best asset. An accomplished speaker, magazine columnist, frequent radio guest, and the creator of her own training systems. She is sought after worldwide for her revolutionary and innovative coaching style and never miss results. An amazing woman who fights for people’s right to shine in this lifetime, she epitomizes the essence of wealth. Deep belief in the transformation of the human being and the incredible workings of the mind lie at the core of what Alisse does so successfully and with such passion. A truly gifted speaker, Alisse communicates with ease, bringing a warm emotional connection to her audiences and clients. She delivers presentations, workshops, online training and one-on-one coaching / consulting to entrepreneurs, business owners and solo professionals to show them how to make their lives shine and increase their financial wealth and personal prosperity. She has trained personally with some of the world leaders in her field, including the acclaimed Bob Proctor of ‘The Secret’ fame, the late Dr Wayne Dyer ‘Father of Inspiration and Motivation’, Marie Diamond ‘Feng Shui Expert to the Celebrities’, and Neale Donald Walsch ‘renowned spiritual messenger’ and author of the ‘Conversations with God’ series.